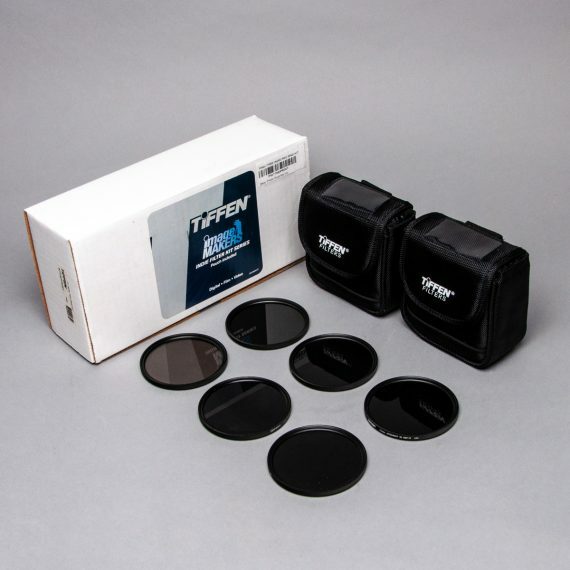 Tiffen 77mm Indie Pro IR ND Filter Kit | Beau Photo Supplies Inc.
Tiffen Indie Pro IR ND Filter Kit Series, includes: 77mm IR Neutral Density filters in 0.3, 0.6, 0.9, 1.2, 1.5, 1.8 and 2.1 stops. Optimize your HDSLR video shooting experience! Made from optically pure Water White glass, using Tiffen’s ColorCore technology that delivers clean images and allow greater latitude in the post production process. Filters packaged in black nylon in a padded pouch with belt loop. 2 kits available.